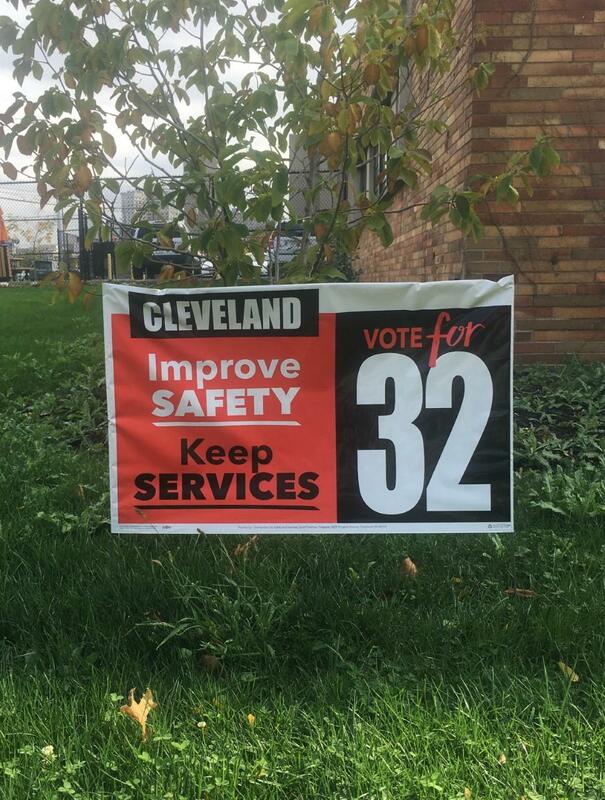 Passage of Issue 32 would mean Cleveland's first income tax increase since 1981. Next month, Cleveland voters will decide on the city’s first income tax hike in 35 years. Issue 32 would increase the tax to 2.5 percent. Mayor Frank Jackson says without the half-percent income-tax hike, city services will have to be cut. But he says the extra $80 million a year would improve services, including police department reforms. The Greater Cleveland Partnership, the area’s chamber of commerce, has endorsed the tax hike. President Joe Roman, believes it will keepsmaintain the city’s momentum by bolstering services. The proposed tax hike has received little opposition. That’s because nearly 90 percent of Cleveland’s income tax is paid by commuters who live outside the city. What's Next for Cleveland After the RNC? It's been nearly a month since more than 50,000 people came to Cleveland for the Republican National Convention. The Host Committee says it was a huge success. RNC host committee officials say partnerships between private and public sectors made the convention a triumph. Speaking at a Crain's Cleveland business event last night, Host Committee Vice President Joe Roman said the negative perception of Cleveland changed to a positive one for visitors and residents. The City of Cleveland is using a federal grant to reduce beach closings and improve water quality in Lake Erie. The grant was awarded by the EPA through the Great Lakes Restoration Initiative. The funds will be used to control storm water runoff. Lawmakers who failed to stop a bill banning communities from creating local hiring quotas are pleased the city of Cleveland is taking the issue to court. Since it was proposed, Democrats such as Rep. Alicia Reece of Cincinnati have battled a law that prohibited cities from requiring a percentage of workers on public construction projects to be local residents. The first report from the team monitoring Cleveland’s police reform progress is out, and it shows mixed results. The report is part of last year’s consent decree between the city and the U.S. Justice Department. The report gives Cleveland good marks for improving police training and use of force policies. But it says vast improvement is needed in speeding up the way the department handles civilian complaints. Cleveland is hiring a former federal judge to ensure the city complies with its police reform agreement. For Ohio Public Radio, WCPN’s Nick Castele reports the $125,000-dollar-a-year position will coordinate city departments involved with the consent decree. Cleveland’s consent decree with the Justice Department doesn’t call for this coordinator position. But Mayor Frank Jackson says it’s necessary because the agreement requires a massive amount of work.